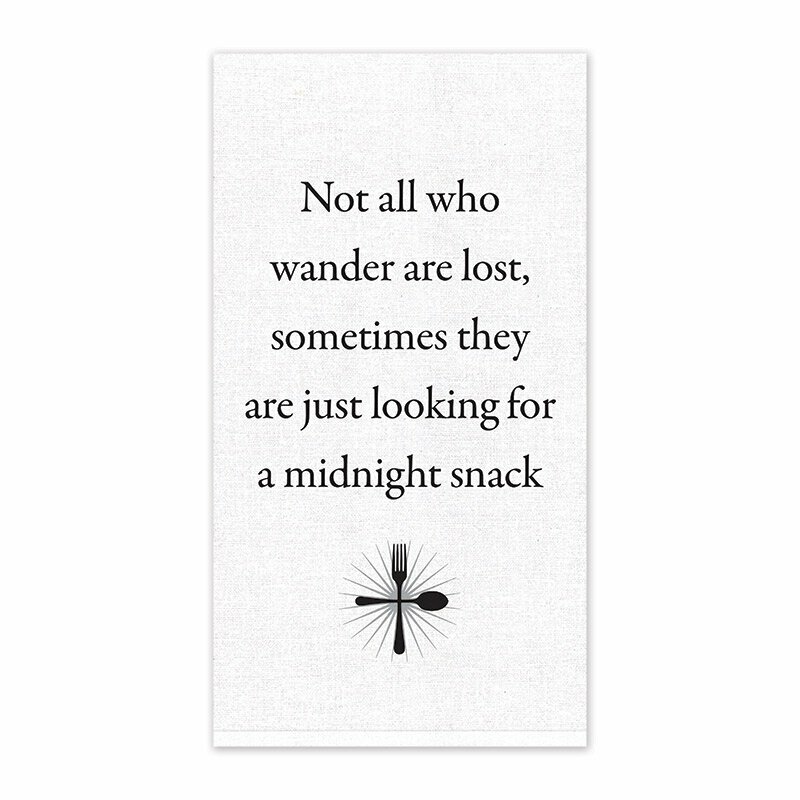 This tea towel features the phrase, "Not all who wander are lost, sometimes they are just looking for a midnight snack." Perfect for any kitchen or as a housewarming gift. Sold in increments of 3.